GPS tracking technology is adopted very early by the security industry. In fact, before it became available for civilian and commercial use, the benefits of GPS for security purposes was identified by the military. GPS Vehicle Tracker has become more common and used in a variety of deployments. Vehicle tracking is a great example as many delivery, installation, and packaging companies have a need to see where their trucks are located at a given time. You can utilize a GPS tracking device to pinpoint your exact location while you’re driving, hiking, running, fishing, sailing, biking, or exploring. No matter where you are in the world, a GPS tracking system can help you find your way. GPS isn’t just for finding your own location, however. It can be used for car tracking, equipment tracking, asset tracking, and tracking people too. If you have a valuable item out in the open, such as a boat or motorcycle, you can put a GPS tracking device on it, and track its location in case it gets stolen. Business owners also utilize GPS fleet tracking to keep track of their company vehicles and ensure drivers are going where they’re supposed to be going. There are two types of GPS trackers, one is hardwired and the other is portable battery-powered tracking devices. For Portable trackers are wireless, so you can use them for different things on a regular basis. Portable systems can move easily from car to car or person to person. There are no cumbersome wires anywhere on the device. If the asset is powered a standard or ruggedized GPS Tracker can be used, in much the same way as you would track a vehicle. If the item is unpowered, and it does not move frequently or each individual movement does not need to be tracked and all you need to know is where your assets are , then battery powered tracker could be ideal. You don’t need it to be installed in each of your vehicles to track them. Always ensure your tracking device is fully charged before you use it to track someone/something. Most trackers will give you around eight hours of use on a full charge, and extended-life battery kits can provide anywhere from 60 up to 120 hours of actual movement on a single charge. The AssetTrackr Standalone Vehicle Tracking Device comes with 10000 mAH internal battery which is rechargeable. The AssetTrackr-SA GPS vehicle tracker gives updates of your vehicle at fixed interval of time which is configurable as per your requirement. The battery life depends on the intervals you set for the device. For example, if you want to track your vehicle every half an hour, then the battery lasts up to 7 days on a single charge. The system notifies you whenever the host asset begins moving and you may be alerted whenever there is unauthorized activity. Basically, this device is used to track Temporary Market Hire vehicle and High-value consignments. Suppose, the demand is more and the tracking vehicle that is used for delivery is less, then the company has to hire some other vehicles and installation of a GPS Tracking device is not an option, then there comes these standalone devices for your rescue. The unit requires no installation and comes with a large capacity rechargeable battery. This is also ideal solution to protect and track your high-value consignments. The AssetTrackr- SA, self powered GPS vehicle tracker and locating device GPS offers a full range of tracking and location capabilities suitable for Caravans, Trailers, Promotional Trailers, Non Powered Plant Equipment. Our device provides GPS tracking and locating capabilities for extended security cover, alerts to the owner on movement of their asset, supplying the exact location to your phone or PC. Giving you the peace of mind that your valuable consignments or assets are safe.The compact, rugged unit is self-contained with no external antenna or wires to run – which means a quick “slap and track” installation for you. It is also easy to redeploy from one asset to another, without requiring a dedicated unit for every machine in your fleet. Best of all, the system transmits with little to no sky view so you can hide it out of sight underneath or inside certain assets. GPS Tracking devices are no longer an extravagant purchase – in some cases they are a necessity. It is not a matter of having that extra layer of protection. It is also that the protection is available and more affordable than ever. So, what could be keeping you from taking every measure that you can to keep your possessions safer. For more information please log on to www.assettrackr.com or fill up the contact form below. Remote job sites and hectic schedules can make heavy equipment tracking very challenging. Loss prevention is a huge issue across many industries, as large equipment can be hard to follow. Thanks to new advances in GPS tracking technology, companies can use a digital eye to do the dirty work. What is GPS Heavy Equipment Tracking Technology? The same system that is used in our smart phones can also be installed in heavy equipment to enable a real-time view of it’s transitory life-cycle. GPS tracking is a means of making sure you are always aware of the exact coordinates for all equipment involved in a job site. If something is late—or worse—stolen, immediate measures can be taken to prevent further loss. The best means to safeguard your assets is to track them through every step of the project. A Heavy Equipment GPS Tracking Device allows a company to locate equipment and monitor how it is managed in real-time. The unit is usually discreetly attached to each piece of equipment and is ruggedized and weatherized resistant. 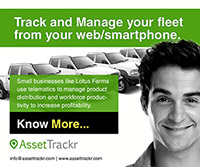 The true purpose for the tracking abilities of telematics is loss management. A large problem across all industries, theft of heavy equipment can stall a project and cost a company millions of dollars. Options like a “starter disable” on GPS tracking technology allows a company to remotely immobilize equipment and prevent further theft. Tracking abilities extend beyond equipment theft. It also allows a company to monitor the way their assets are being deployed and how employees are managing their time. This enables better overall scheduling and planning. Additionally, it helps prevent loss in terms of driver overtime, as the system knows exactly when the equipment is engaged 24-hours a day. Although tracking is the obvious benefit to GPS technology, telematics can also help you maintain the life of your equipment. Using these types of data points, a GPS tracking program can report and recommend a preventative maintenance program that will extend the lifecycle of your equipment. Accurate reports on past service, mileage, and engine hours can help plan for future projects and necessary maintenance. When looking for top-notch GPS tracking equipment, a system that works with no power supply (and a 2-6 month battery backup) is your best option. The most underutilized, yet highly valuable aspect of GPS tracking is smart reporting. Detailed monthly reports can assist with keeping track of top performing equipment and where to focus repairs. The technology can also help notify when regular maintenance is due on equipment to keep them running at peak performance. Vehicle maintenance notifications always ensure regulations and standards are being met. 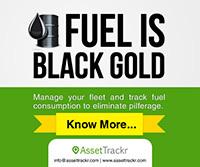 Fleet management software like GPS tracking can also dig deeper and help determine if assets are being utilized to their fullest potential and where to make cuts. This type of data allows for smarter decisions that result in larger savings on cost and labor. GPS tracking technology solves some age-old challenges to heavy equipment management. It gives business owners the ability to sit as a “fly on the wall” of every piece of equipment they own. This enables greater control of things like loss prevention, efficient usage, inventory control, and labor management. Installing an effective GPS tracking system not only extends the life of your heavy equipments and trailers, it allows you to streamline projects, and forecast success at a higher rate.